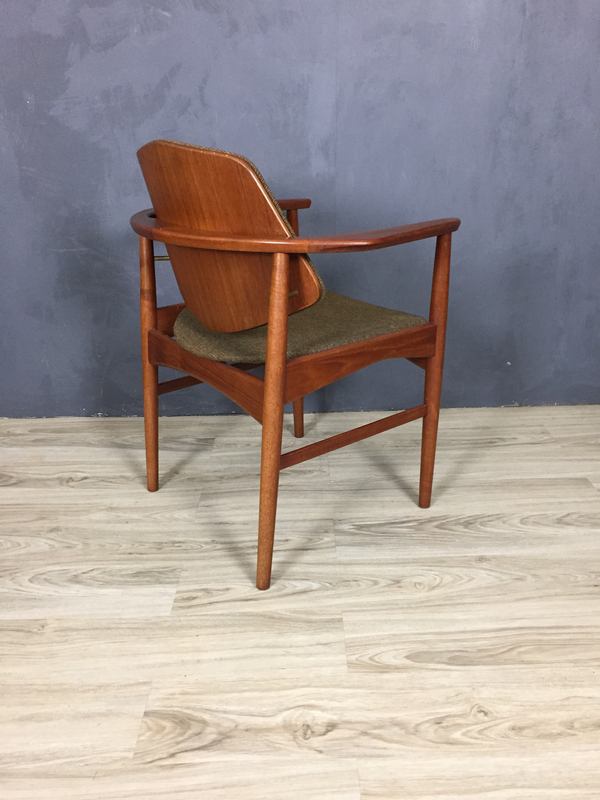 Danish modern styling at its best. 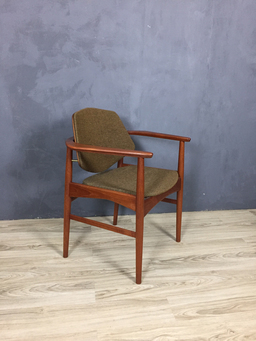 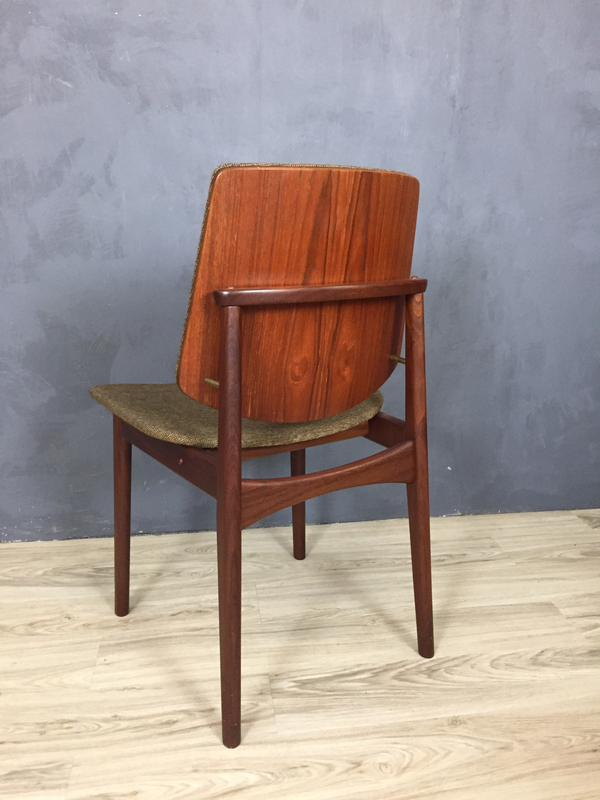 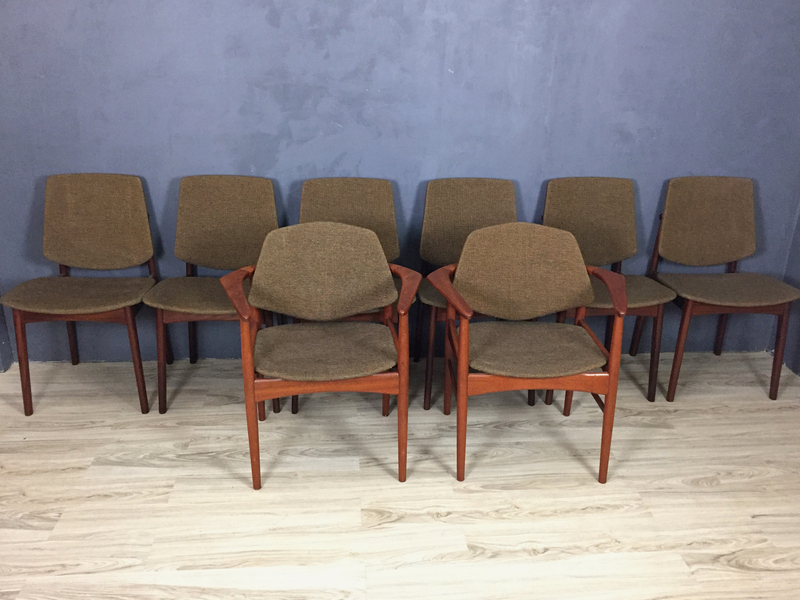 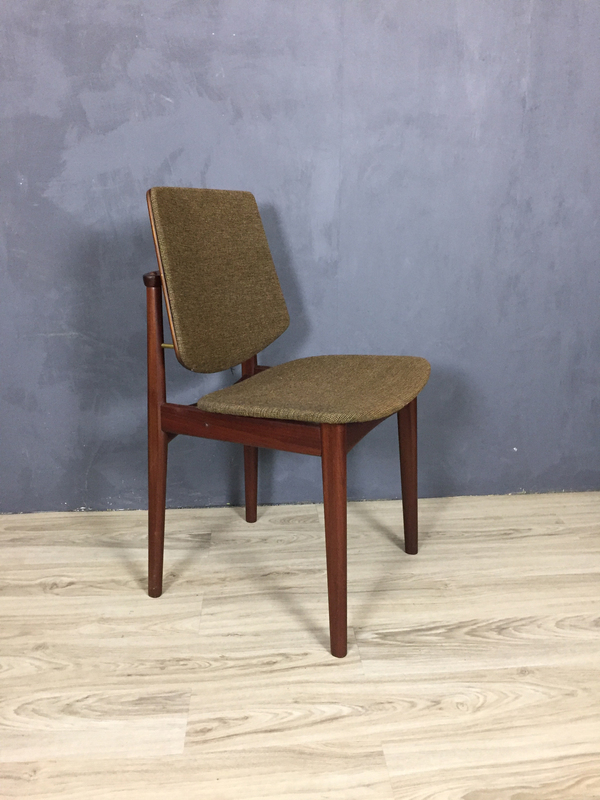 Produced in Denmark, and designed by Arne Hovmand Olsen, this beautiful set of eight teak dining chairs are sculptural and elegant. The back supports are upholstered on the front and teak on the backs. 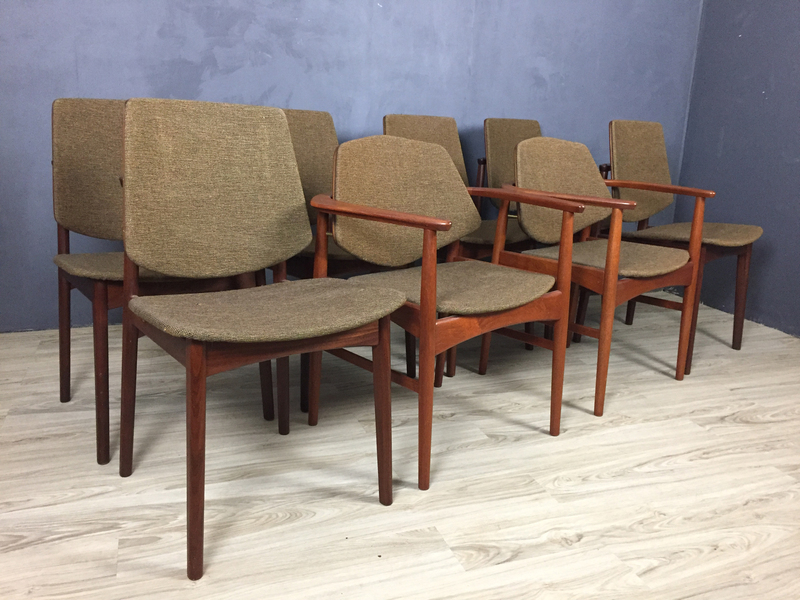 The two arm chairs have sweeping arm supports. 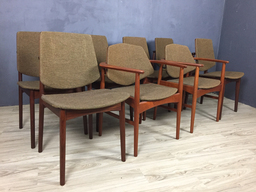 The set just needs new upholstery to bring them back to their former glory. 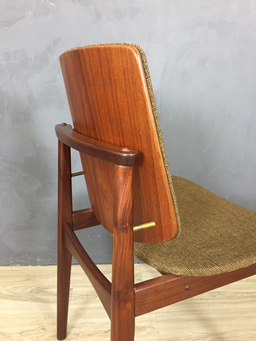 Otherwise, they are in excellent condition with tight joints and only minor marks of age. 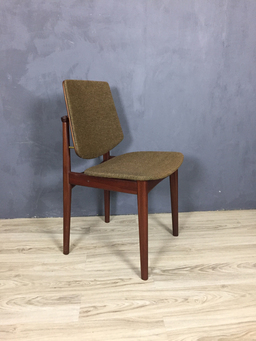 Would be stunning in fabric of your choice.